Choose the appropriate employers to target. Once our target employers are set, research these companies to find out their big bets and figure out what they plan to do in the next two years. Synthesize our research and figure out projects that align with the big strategies our target companies plan to execute. Advertise our completed projects throughout our social networks, including current employees who work at the companies we targeted in the first place. 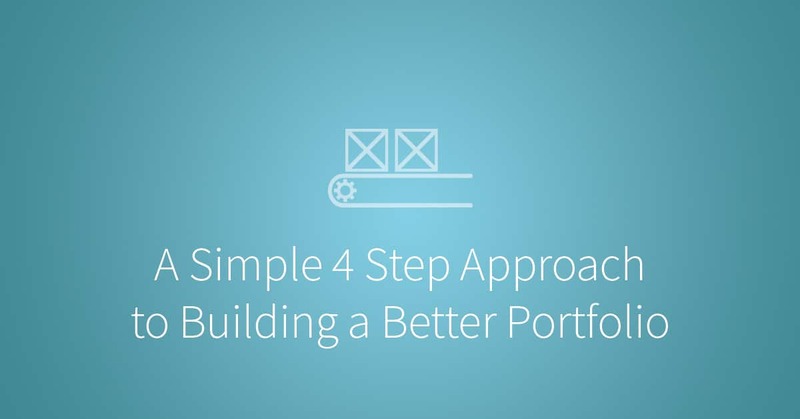 For this particular exercise, We’re going to focus on the strategic method listed above, but let’s first recognize that there are two other approaches we can take to build a portfolio. In this approach, we build things based on the new technology skills we’ve acquired. This approach is more about doing something creatively for ourselves, and less about what is attractive to future employers. This is a more direct approach for someone who make projects solely to fit a job description. There’s a strategy involved with creating projects that are particularly relevant to a specific job. For example, a Data Analysis position might require a person to be “Proficient in Python and Pandas.” So an applicant using the focused approach would then go and create a project or two that heavily uses the Pandas library using the Python programming language. The path we’re taking in this article is called the Visionary Approach. While this high-level methodology ultimately takes more time and thought, it can yield significantly better results with the proper execution. The Visionary Approach is powerful because it flips the relationship between job applicant and employer: we make employers seek us instead of us seeking the employers. Essentially, we’re building big value in the eyes of target companies. Position yourself in areas of importance because companies will be looking for talent to execute their plans for growth in these specific areas. But how do we build our value? Make things that our target employers deeply want. For-profit companies want to grow revenue and thus, profit. Non-profit companies wants to grow their funding base and serve more people. Government and other service organizations want to be efficient and serve more people. Every year, these organizations create new goals and strategic plans in order to achieve their ultimate goals. These new strategic plans will require a core set of activities. If we can guess at what they might be planning or develop a vision of their future, we can build things that support their plans , and in turn, build tremendous value for these companies. Let’s assume we want to work for public, for-profit employers. First, we’ll need to identify the industry we want to work in. Then, in order to understand the issues being faced by these companies, we’ll need to get an idea of their general profile. Are they in the growth phase or stability phase? How many employees do they have? What’s the size of the company? These are important questions to ask because companies at different stages with different numbers of employees fundamentally operate differently. More established companies usually have a more structured hierarchy with established rules and processes, while younger smaller companies often have a flatter organization with less structure and rules. Company culture plays a key role, so it’s important to know both the culture of a company as well as which environment will fit our personality and preferences. Is the company a for-profit, nonprofit, or government organization? Is the company in a startup, growth, or stable phase? Is the company small, medium, or large in size? Is the company operating with a specific culture? Now we take the time to think about the kind of company and cultural environment in which we’d like to succeed. Once we have a list of two to three companies to target, we’re ready to move on to the next step in our methodology – Research! The research phase is the most time intensive part of our strategy, especially compared with the creative or focused approach, because we need to spend time understanding our target companies’ needs and future plans. As you go through the research described below, you may be intimidated by the amount of work required to pull this off. Don’t be! Just know that this type of thinking is what entrepreneurs go through to truly understand the business environment in which they want to make an impact. Done correctly, the effort you put into this step can help you stand out strongly among prospective applicants for a job and will pay off tremendously in the long run. Informational interviews should be our primary source of information; It is the most reliable source of information we can obtain. Browse through Linkedin, Linkedin group posts, personal blogs, social media accounts, discussion forums, technical journals, news articles, and GitHub repositories to find people to contact at our target companies who work in the fields we’re interested in, such as a Front End Developer or a Data Analyst. We then contact these individuals and request informational interviews to better understand their specific job roles, what projects they are working on, and what great initiatives their department is doing. We also want to get a sense of what they think about the overall industry and where their company is heading. This information will give us enough knowledge to start making educated guesses to where we think these companies are investing their money for the next 2 years. Public companies in the US have to publish their finances in addition to an annual report outlining their goals and strategies for the near term. These annual reports are often very verbose, dry, and long. For our purposes, we really just need to focus on the letter to the shareholders from the CEO or Chairman of the company. This letter is a general highlight of the company’s past year performance and what they look forward to in the next year or two. This one letter gives us great insight to what the leaders think about their company, their industry, and where they are heading in the future. How can we become a crucial part of the company and position ourselves in the critical components of our target company’s strategy? A high-level overview is useful, but if we really want to be thorough, we dive into the financial reports to understand where the company has invested its money and where it plans to invest its money in the future as well. The number one rule in business that we should never forget: follow the money! A target company’s performance and investments gives us an indicator of what these companies value. As an employee, we want to position ourselves in these areas of importance because companies will be actively looking for talent to execute their plans for growth and investment in these specific areas. Again, we follow the money! News articles from various sites across the Internet, such as Bloomberg, Wallstreet Journal, Fortune, Business Insider, Trade publications, can also give general perspectives and viewpoints of where our target companies plan to invest their money. By now, we probably have a hypothesis of where these companies are heading and we now want to read up on other expert opinions to solidify our hypothesis. If we have access behind paywalls, we can try to find analyst reports from financial institutions who make company recommendations based on their potential future earnings. Last but not least, don’t overlook social media! Note that we should not look at the company’s official social media channels because those posts won’t give us any meaningful inside information. We need to look at personal social media accounts from executives and middle-managers of our target companies, if these accounts exist. We want to understand the thought process of these leaders in order to understand their assumptions they have about their company, the competition, and the economy. Some questions to ask ourselves when we study these leaders are: What motivates these people? What keeps these leaders awake at night? What are the hot topics that they passionately respond to? Knowing these answers can give us a better understanding of what initiatives these leaders value and how they will respond to our projects. Now it’s time to apply our findings and put our technical skills to use. Here we need to think big and envision how our skills can help with the company’s overall goals. We therefore asks ourselves, how can we become a crucial part of the company and position ourselves in the critical components of our target company’s strategy? Here’s a general framework to think about when we’re synthesizing our information: we draw out the value chain of our strategy. A business can be thought of as a machine that takes raw input, processes the input, and then produces an expected output. Take raw input such as raw materials or raw information. 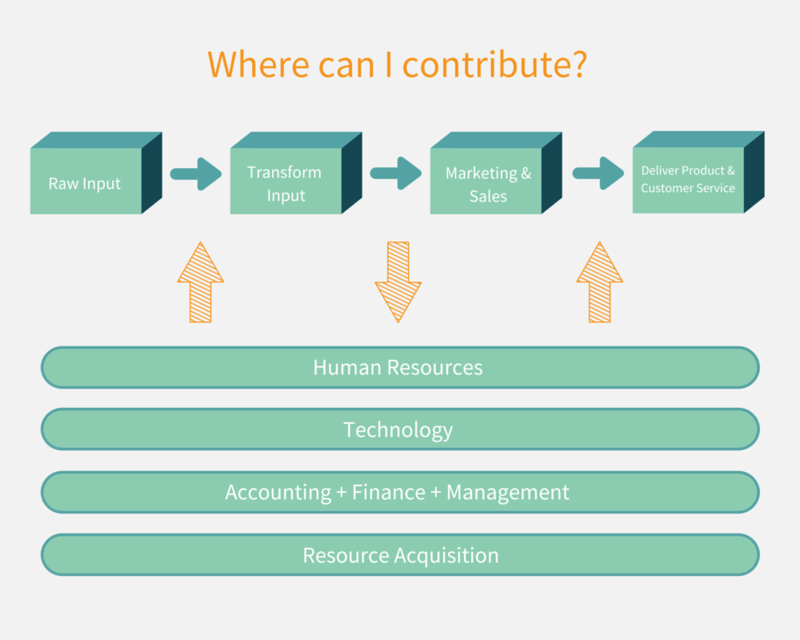 Operate on the raw input to transform it into a product. Advertise the product to let customers know about the product through Marketing and Sales activities. Deliver the product and provide customer support after the product is sold. Imagine our research shows that Hewlett-Packard will be making a big push to bring 3D-printing to mass consumers. We then envision a world where everyone can use 3D-printing and realize that a crucial component of this 3D-printing initiative is to have a website that allows consumers to play with 3D models before they can send it to the 3D Printer or share the model with other friends. As a Front-End developer, we can create a web application that can allow customers to upload, modify, and share their designs. This web application belongs in the 4th main activity because our project focuses on providing the additional customer support and platform that Hewlett-Packard would want its customers to use. Advertise to people with whom we have interviewed at our target companies. On social media, add executives and managers who work at our target companies and start having conversations with them online. Cold call or email people at our target companies if we do not have any other contact sources. Ask friends to share our projects on their social media channels. Publish code to GitHub and/or personal websites. Let’s run through an example from start to finish on how the Visionary Approach gets executed. Pick a big public For-Profit company: General Electric (GE). Since GE is a huge organization, and we decide to focus on the Medical Devices Industry. Conduct Primary and Secondary Research and find out that GE Medical’s big push will be in the: Internet of Things. Let’s assume we’re a Data Analyst and we want to find some sensor data on the internet and learn how to run analysis on these sensors such as FMRI images on human brains to create a Naive Bayes classifier to detect brain tumors. We then program the system to create reports and send it to a doctor. Work on our project and showcase this project through: social media, Internet of Things discussion forums on LinkedIn and other reputable Data Analyst forums. We share our project as much as possible and even reach out to people at GE who have talked with us. Continue to add new features,invite collaboration with GE employees or other individuals interested in machine learning with FMRI images, building more value over time. Even if GE will not notice us, we will have other companies who may be interested in our project and reach out to us. This Visionary Approach is just one strategy to get noticed by our target companies. This approach will only be successful if we make the required effort to diligently research what these companies want. Knowing what our target companies want is the key to create useful and focused projects, build our value, and get noticed. The important point to remember from this guide is to build value. If we build and demonstrate our value, people will come to us. And who knows? If our project turns out to be a great idea, we simply go into business for ourselves! Teacher, mentor, and coach for Udacity's students. Mark brings new perspectives to the table with his Data Analysis industry experience, helping students and businesses build new value together. If not in front of his computer, you can find Mark running, biking, swimming or jumping around on the stage playing Taiko. Hello Mark. Thanks for the article, it really helped me see a path of action towards exposing my potential. I have a question: The example of the end doesn’t say that the project you build is complete, does that mean that I can build my portfolio with projects on a inicial state? I’m a bit stuck on mine because I have some ideas but don’t know until what point of development I have to get them to qualify as a “project”. I hope my question makes sense. Sorry if I have language errors. Thanks a lot for the attention !! Hi Maria, I’m glad you enjoyed the article! A project is defined as work that creates value that ends once the work has met its goals. Have you set any goals or timelines for your project? I suggest you should write down exactly what you want to accomplish with your project. Once your project has met those goals, then the project is determined to be finished. Hi Mark, What sites/webapps do you suggest for showcasing a portfolio? For example, I want to showcase my widgets in this way: code snippets, interactive iframes, text explanations, code editor inside of browser, run the code from the editor and show in browser. Any suggestions for all or some of these features? (Hopefully, all in one place, but I haven’t found an al-in-one solution yet). I believe the best way is to create your own site to show case your portfolio. You can also link your GitHub as well to allow developers to check our your code.